VG Dongky is a modern and minimal, easy-to-use and effective, aesthetic and appealing, readily responsive WordPress creative multipurpose website builder. VG Dongky is a clean, purposeful, highly intuitive website builder that has been carefully crafted with the most potent premium plugins, including Visual Composer, WooCommerce, Revolution Slider, MailChimp and much more, readily integrated into a concise visual interface which allows you to edit layouts, settings, shortcodes and more in real time. Feel free to email us: support@vinagecko.com If you have any pre-sale questions or need help installing your theme. 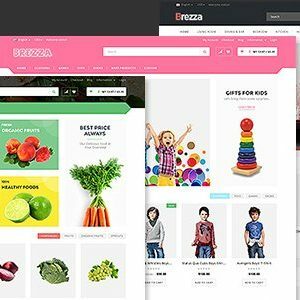 100% responsive WordPress WooCommerce theme!